Home » Blog » Superstar Actress dies at 30, head stolen! 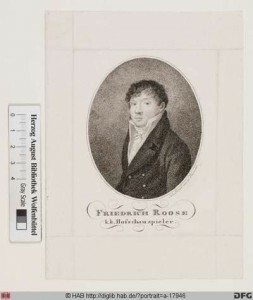 To learn more about the Rooses look at the relevant webpage for the portrait of Fred Roose on my website. 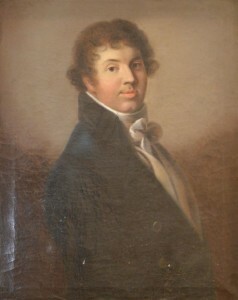 Here we show an oil on canvas portrait of Frederick Roose, which we have in stock. 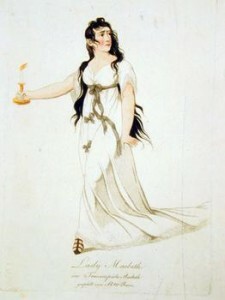 There is also an engraving of Fred by Johann Joseph Neidl (1776-1832)(Austrian National Library) and a picture of Betty in her character of Lady McBeth (Art History Museum, Vienna, C1800). Presumably there is somewhere, as yet unidentified, the painting of Betty, that would be the marriage pair to the painting of Fred in our possession. ← Frederick McCubbin, Mrs Scharf and me.